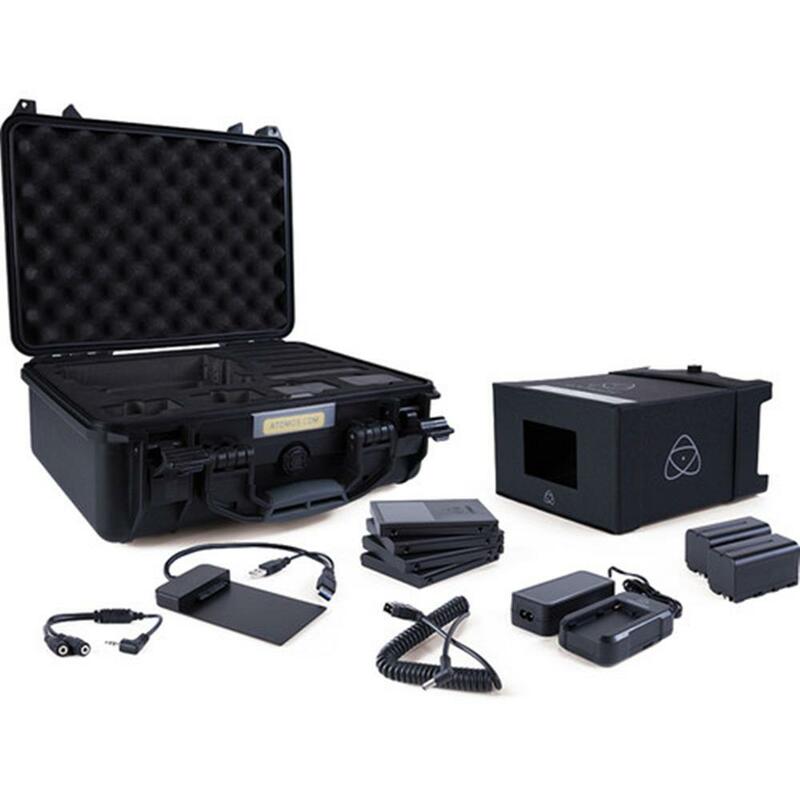 Made by HPRC, this Atomos Shogun Carry Case, provides total protection against dust, water, impact, and corrosion from chemical agents. Inside you'll find pre-cut foam inserts that perfectly fit the Shogun and all the accessories that come included with it. The case features a carry handle and shoulder strap. The Atomos USB 3.0 & 2.0 Docking Station with Cables provides an efficient way of offloading files from an Atomos drive caddy to a computer. This docking station is compatible with USB 3.0 and 2.0 ports and it includes a split USB cable that features two USB connectors on the output side. The second connector plugs into the computer's USB 2.0 port in order to power the docking station in systems that require such secondary power input. D-Tap to DC Barrel Coiled cable for all 7" recorders.